Mortal Kombat Funko Pops | Nerd Much? You would think it would be impossible to make Mortal Kombat characters cute, right? Just think about some of the gruesome-looking character designs we’ve seen in the franchise so far. Scorpion, Shao Khan, Goro, Baraka, and Mileena are just a handful of the more almost-frightening characters in the franchise, and we couldn’t really imagine any of them as Funko Pop figures. Until today. 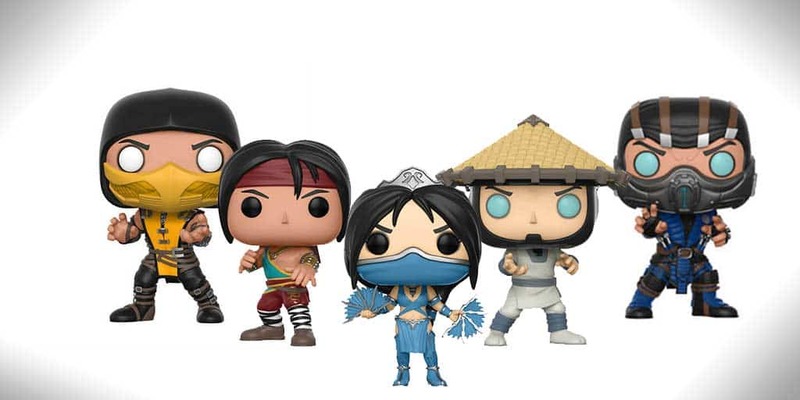 FunKo has introduced a brand new line of Mortal Kombat FunKo Pops for the gaming crowd, and the first wave includes designs for Scorpion, Sub Zero, Liu Kang, Kitana, and Raiden. Each of the Mortal Kombat Pops features the character in a battle-ready pose, ready to strike and bloody-up their opponents. Each figure stands at the average 3 3/4-inches tall and comes in a box with a display window in typical Funko Pop figure fashion. We’ll be interested to see what Mortal Kombat figures we’ll get when Wave 2 comes around, and we’re hoping that Reptile (using his Mortal Kombat X likeness), Jax, and Goro are in that bunch. Of course, these are just one line of the many gaming-themed FunKo Pop vinyls available, as Funko has other game franchises available, including Overwatch and Elder Scrolls. The Mortal Kombat figures are currently available on Amazon, at Entertainment Earth and via Pop in a Box for $10.99 each. Want more Mortal Kombat stuff to chew on? Check out everything you need to know about Mortal Kombat clans. For more cool nerdy stuff, follow us on Twitter.